The case of electronic vs. acoustic drum sets is a highly debated topic. 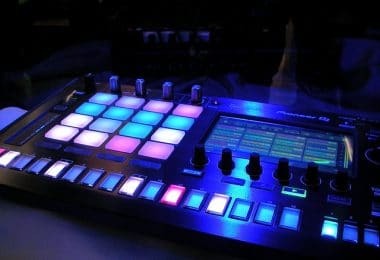 Many feel that the sound and feeling of an electronic drum set is so far removed from the real thing that it can actually hinder your progress. Meanwhile, others feel that the vast sound libraries and recording capabilities of electronic kits are starting to outweigh acoustic drums. So are electronic drum sets worth it? I’d say yes, especially if you can’t play on an acoustic set for whatever reason. The recording capabilities, ability to play through headphones, and sound expansions make drumming a pure joy and having fun is what drumming’s all about. Let’s take a look at some of the benefits and drawbacks of electronic drum sets so you can decide for yourself if getting one is worth it for you. 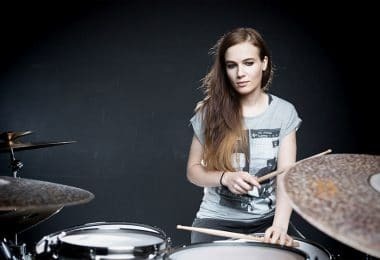 There are many pros and cons of electronic drums, but the first and most prominent disadvantage with electronic drums is the feeling of the sticks against the playing surface. 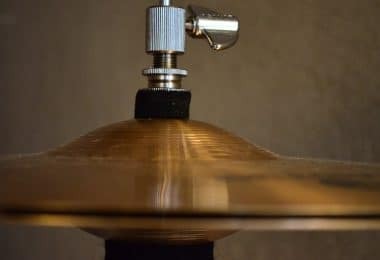 The majority of cymbals are made of a hard rubber, while you have the choice of rubber or mesh heads for the actual drums. It’s not going to feel anything like an acoustic drum set, and transitioning to real drums after a long time of hitting mesh pads can be quite an obstacle to overcome. 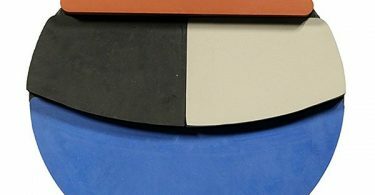 While rubber pads don’t have quite the same rebound as acoustic drums, mesh pads tend to be extremely bouncy and can make it a little too easy to pull of things like rolls. Once you get used to the high amount of bounce, playing on a real drum can feel almost like you are hitting a pillow. I feel that if you are going to go the electronic route, it’s important to get in a lot of practice time on different surfaces like practice pads and pillows so that your muscles can get used to the differences in playing surfaces and prepare you for going back onto an acoustic kit. Next up is the issue of pad size. With electronic kits, the pads are usually on the smaller side ranging from around 6”-10” in size in most cases. This can be both a good and bad thing depending on how you look at it. 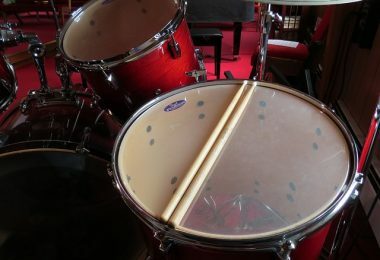 It can be difficult adjusting to such a small playing surface, especially when playing fills on the toms, but having to strike such a small surface also means that you will be improving your accuracy. Manufacturers have started to increase the size of their pads recently, so this won’t be as much of a problem in the future, and you can already get some larger pads on the higher end electronic drum sets - although you will be paying a premium for them. One unfortunate thing about electronic kits is that they get exponentially more expensive as you climb the ladder. Like most things you buy, you will see diminishing returns the higher you go. With acoustic drums you can expect to pay between $2,000-$4,000 for a top of the line drum set, but with electronic drums you should expect to pay upwards of $5,000 or more for a premium kit. Have you watched a 3D movie or played a game recently that you haven’t touched in years? The first time you played or watched it you probably thought it looked amazing. And now? Not so much. This same principle applies to electronic drums. The sound and sensor technology is getting better every single day, and once you get a taste for the latest and greatest electronic kit, yours will instantly feel outdated. The sounds will seem fake, and the sensors in the pads will seem rudimentary at best. Acoustic kit owners will never have to worry about this problem - Their drum sets will stand the test of time. When I got my first electronic drum set I was so excited to set it up in my apartment, throw on headphones, and start jamming away until 2 in the morning. It’s silent after all, right? Or so I thought, until the neighbor under me came storming into the hallway and banged on my door letting me know that I was shaking the whole building. In addition to the bass drum pedal slamming on the floor and causing a ruckus, the actual pads tend to make a very large *click* sound when hit with a stick - especially on the rubber cymbal pads. If you have people living below you or thin walls separating you and your next door neighbor, it’s very important to keep this in mind. I actually moved into a different 1st floor apartment just so I could play! If you’ve ever tried recording an acoustic drum set, you know how much of a hassle it can be. Luckily with electronic kits it’s as easy as hitting a button. If you decide to record through the module itself (assuming you have one that supports recording), you simply press record and you have a perfect sounding drum track to listen to or export. If you wish to record into a DAW on your computer it’s just as easy - all you need is a cable. You can either record the direct track, or better yet, record the midi signal so that you can change the drum parts afterwards and even edit the placement of each individual hit in the timeline. Think about how much room a single bass drum takes up. Now think about how much room an electronic drum pad takes up. 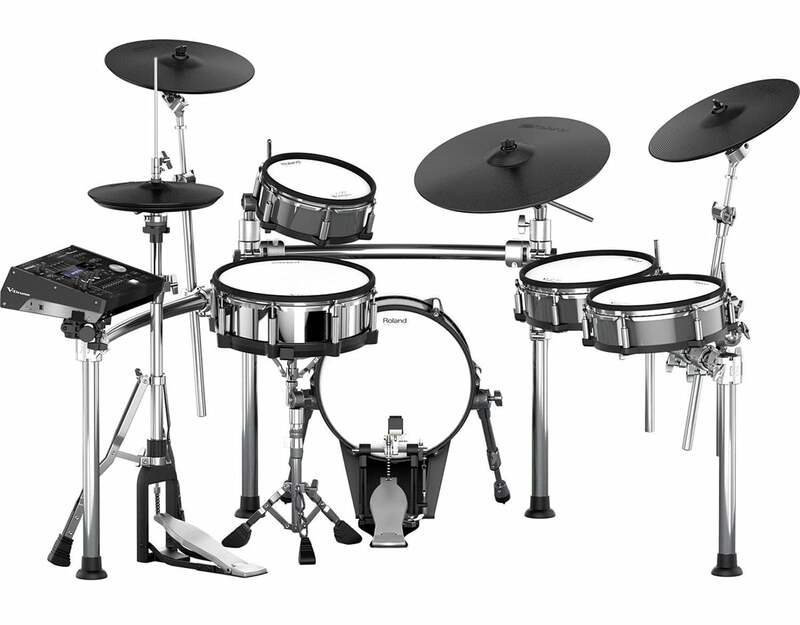 It’s no secret that you’ll be saving a large amount of space in whatever room you put your electronic drums. It’s great for sitting in your room, transporting to and from gigs, and putting away in storage if need be. They tend to be durable and made from plastics and rubbers, so you won’t need to worry about scratching up the shell or paint because there isn’t any. Most can be folded in on themselves and left completely connected, meaning that setup and takedown can be done in minutes. Want to play on a heavy metal kit? 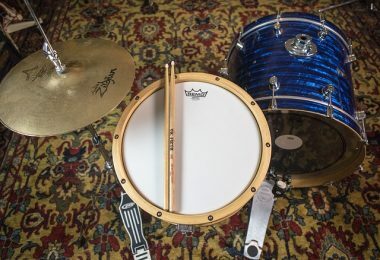 If you are using an acoustic drum set you need to have the right gear for the job and it could cost thousands of dollars to get there. With an electronic kit it’s as easy as pressing a button. Easily switch between a huge variety of sounds and have complete control over every aspect of each instrument. Let’s take the snare drum for example. On most drum modules you’ll be able to select what type of material the shell is made of whether it’s aluminum, maple, birch, or one of the many other options. 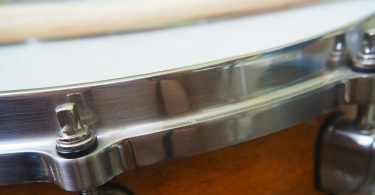 You’ll be able to change what type of drum head is on it, the tuning, pitch, and amount of snare buzz. You can even change the type of room it’s in - anything from room size to what type of material the walls are made out of. And that’s just the snare drum. They’ve truly thought of everything and it’s really fun to mess around and see what kind of unique sounds you can create. My personal favorite part about electronic drums is the ability to connect it to drum software on your computer and expand on the amount of sounds you can create. 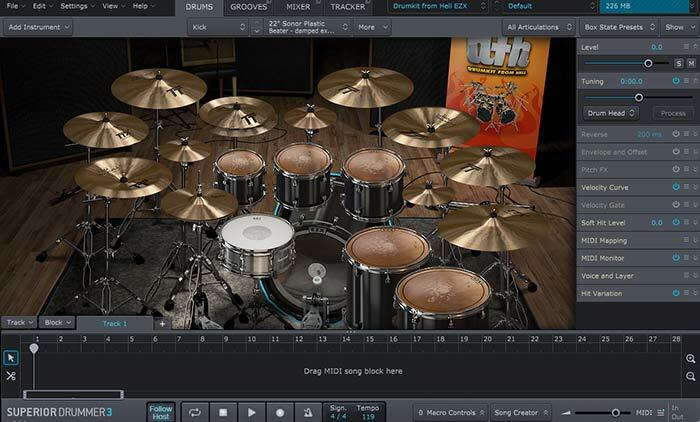 Software like Super Drummer 3 has literally thousands of professionally recorded drum sounds, recorded in the world's top studios, using the world best drum gear, mic’d up by some of the world’s best sound engineers. It really doesn’t get more realistic sounding than this. All you need to get this up and running is a MIDI cable running to a MIDI/USB interface. Then you just launch your preferred drum VST inside of your DAW and you are good to go. You can play real-time on your kit to trigger the sounds and record them right onto your computer. 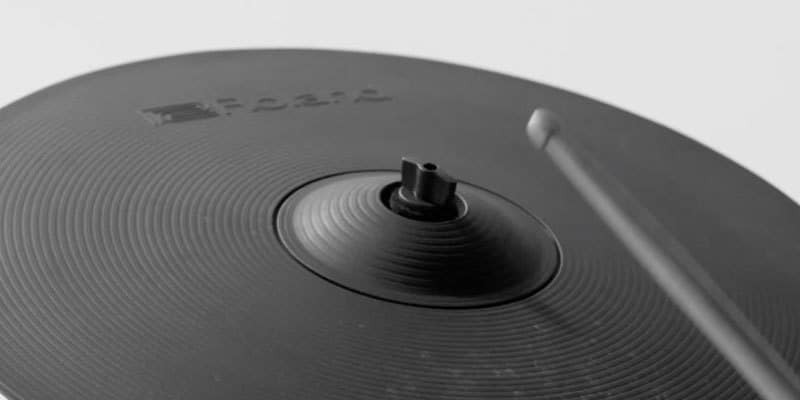 Pretty much all electronic drum modules are going to come with a built-in metronome. This is great for improving your technique and working on exercises. Another great thing is that since you can record yourself playing, you can instantly play it back and hear how you sound in order to make corrections. You can even jam over your own drum tracks and create complex multi-layered parts. Try THAT on an acoustic drum set! This is the primary reason why people take the plunge and get electronic drums. When you can’t play an acoustic set due to sound restrictions and drum pads just don’t cut it, the electronic drum set is the perfect choice for you. ​​Just plug in a pair of headphones and jam away without worrying about your neighbors. On top of that, you do still have the option of amplifying the electronic drums. Like I mentioned in the beginning of this post, you have to realize that they aren’t going to be completely 100% silent, but for most cases nobody else is going to be able to hear you unless you have super thin walls or have somebody directly beneath you. Nothing beats the feeling of being able to sit down on a drum throne and play on a realistic sized kit. Playing on drum pads are great for rudiments and stick technique, but when it comes down to it, some people just need to be able to play on a drum set. 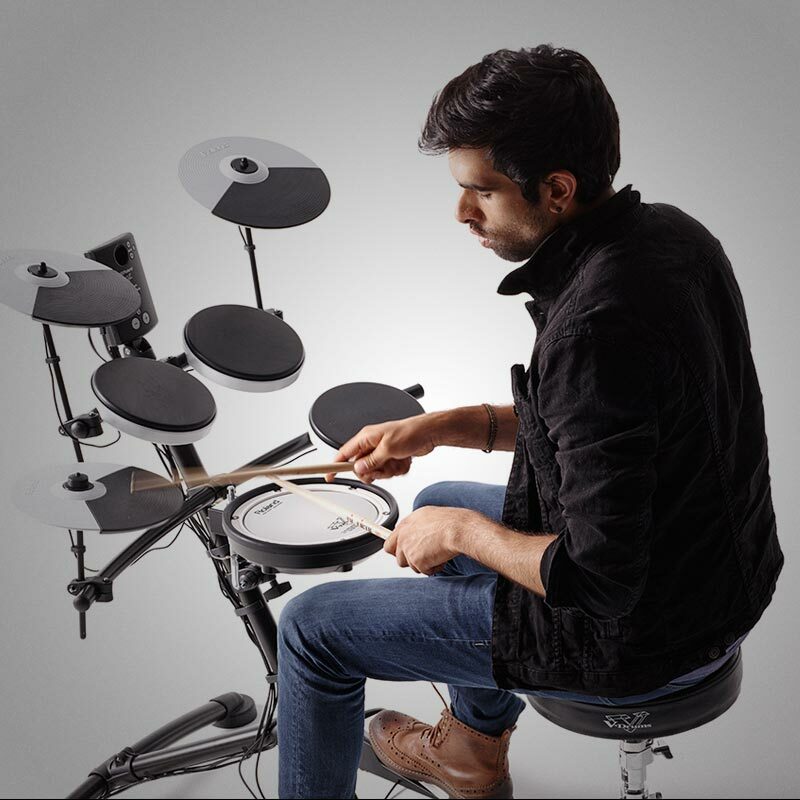 How Do I Decide Which Electronic Drum Set Is Best For Me? There are a ton of options out there so it can be hard to narrow down which option is best for your budget and needs. I put together a comparison of the different Roland Electronic Drum Sets so that you can make an educated decision as to what will be best for you. Whichever option you choose, you can rest assured that you’ll have an absolute blast playing on it like I did when I got my first one. The ability to instantly switch from a rock drumkit, to jazz, to metal, and to funk is so incredible and it will open up your creativity to new heights.